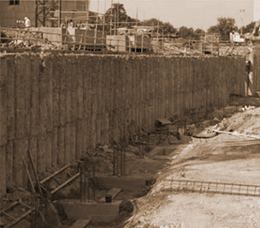 Founded in 1989 by our Chairman Rajendra Jani, Gautamee has grown steadily over the past 25 years to become one of the India's largest independent piling and ground stabilisation contractor. While our heritage spans four decades, we are an innovative company, continually improving and investing to the benefit of our company, our employees, our customers, our community and the environment. This achievement is reflected in the amount of repeat business we win and the number of projects we undertake for clients to whom we have been recommended. Many of our competitors have diversified over the years however; we have made the decision to concentrate on where our experience and expertise lie and to remain true specialist contractors, only diversifying within the geotechnical sector. Gautamee is committed to operating in accordance with the highest standards in terms of labor practices, human rights, impacts on society and product responsibility. We ensure at many of our sites to utilize local offerings such as workforce. We believe in giving back to the community. At Gautamee, we believe employees are the foundation of our business and safety is mandatory at our site. It is our responsibility to ensure that every person who works at our site returns home safely. Our all employees receive training as part of this program, which is also extended to sub contractors and partner organisations. We are always looking for the best people in the industry, so if you want to work for an innovative, market leading company then please email us with a full CV, salary information and details of the career you are interested in. 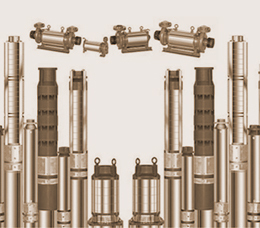 Gautamee is a ground engineering company specialising in the design and installation of Rotary Pile, Micropile, Underreamed Pile, Rock Drilling (DTHH), Pre-stressed Anchors,Passive Anchors, Self Driven Anchors, Earth Retention, Ground Improvement, and Testing & Analysis onprojects throughout India. 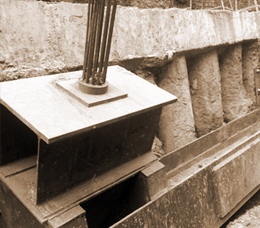 GAUTAMEE have installed most complicated inclined rock anchors in Mumbai, drawing on their technical expertise they overcame immense logistical & geotechnical challenges. In doing so they achieved what some competitors said was impossible. Team Gautamee is very conscientious and thoughtful, certainly an asset to clients. Every member of the Gautamee team took the project to heart and gave their best. Gautamee team members' positive attitude and work ethic resulted in exceeding all expectations. The client witnessed a truly positive and enjoyable working environment between the design and construction personnel. We have utilized Gautamee for at least three major projects and have been very pleased with the attention to detail, ability and desire to make changes at our request and the finished project. It was a pleasure to work with the Gautamee Team. We appreciated their attention to detail and their commitment to excellence. With careful planning and creativity they helped us to achieve the set time constrained project period. We would like to thank Gautamee for an outstanding effort on this recently completed project located in Malad, Mumbai. The project involved a very aggressive schedule to be completed in three months. As a result of a "total team" effort the project was completed on schedule and within cost without cutting corners or a reduction of the quality of workmanship. This project is the perfect example of how the owner, consultant, and the contractor should work as a team in order to achieve the finest end result for all parties involved. I had thought that genuine, "knock-your-socks-off" customer service was a thing of the past, until I met you guys. Your actions have proven that your organization lives to please your client, and I can't begin to tell you how pleased we are with the results of your hard work, attention to detail, and willingness to go all out for us. Thank you for being men of integrity, keeping your word, and ensuring that the right thing is done for your client. Gautamee was appointed to drill and install 300 permanent incline passive rock anchors through the 300 mm diameter shore pile in Lodha Supremus - Powai. The anchors length were between 6 mtr and 7 mtr. Gautamee was appointed to drill and install 42 pre-stress rock anchors through the 600 mm diameter shore pile at Taleem Educational Research - BKC - Bandra. 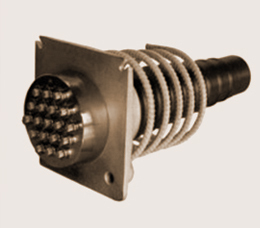 The anchors capacity were 80 MT (8 LRPC) & 100 MT (10 LRPC) and length between 20mtr and 23mtr.